The Jensen Beach FL 34957 Condo Market Report continues with an increased inventory of available condos for sale. 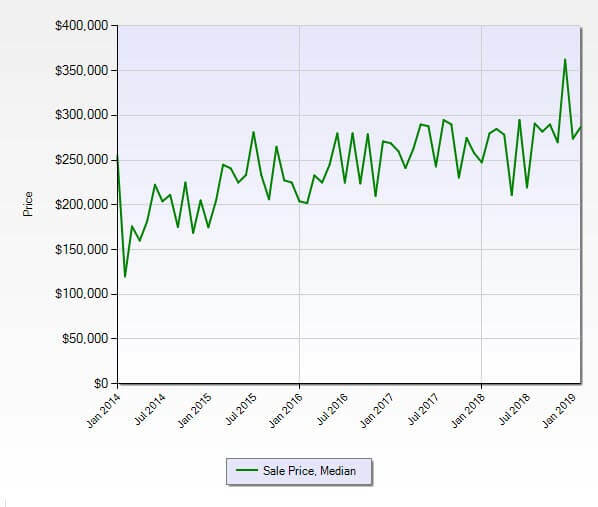 Both closed and pending sales rose incrementally when compared to last month. 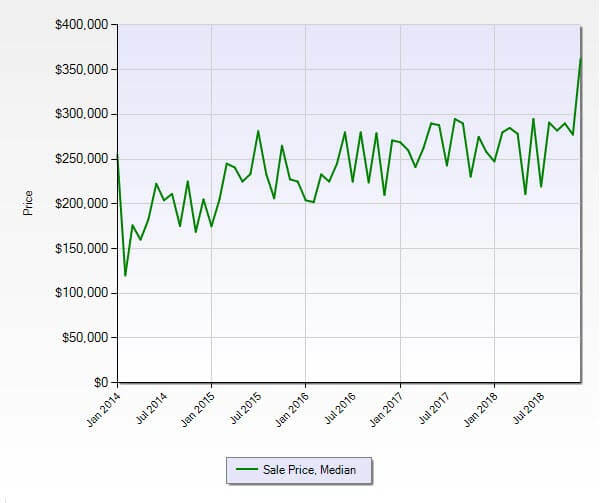 The one-month absorption rate for the January 2019, Jensen Beach Florida Market Report ZIP Code 34957 dropped to 6.7 months (from 9.2 months in December), back into a balanced market after one month in a buyer’s market. 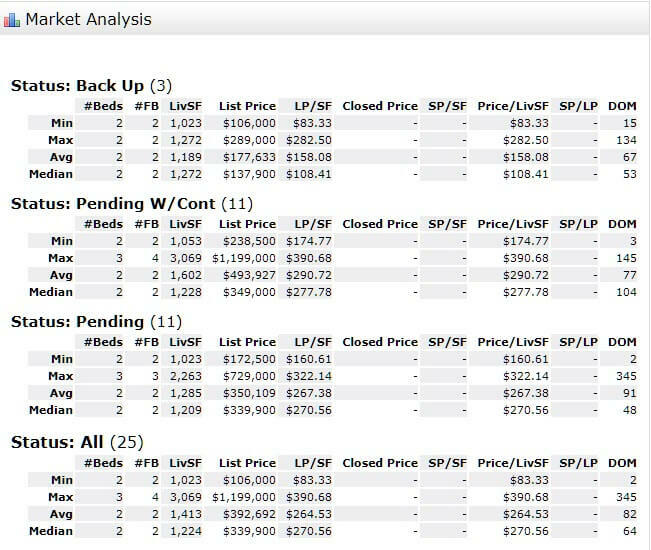 A balanced market is considered to be a 6 to 7-month absorption rate favoring neither the buyer or seller. The January 2018 numbers were: 119 active listings, 47 pending sales, and 15 condos closed. There was a much stronger number of pending sales last year while inventory and closed sales are very similar. Currently, for February 2019, there is only one home on the market in Hunters Creek in Palm City, FL. This home is listed for $344,900 which is also $183.36 per sq. ft. of living area. There are no homes currently under contract (pending sales). There have been 6 homes sold in the past 12 months in Hunters Creek. Sales prices were from $320,000 up to $460,000 for an average sales price of $402,000 which equals $174.54 per sq. ft. of living area. These homes sold on average of 96% of the last listed price and were under contract on an average 131 days after being listed. Hunters Creek in Palm City FL is a gated community of 68 homes located off of Mapp Road just north of the Oak Ridge subdivision and across the road from Harbour Pointe. Homes in Hunters Creek were first completed in 1990 and the last home was built in 2001. There are no more vacant lots left to be built as this community is fully matured and built out. All homes are custom built and range in sizes from over 3,800 sq. ft. of living area to just under 1,700. From 5 bedroom pool homes on over a ½ acre of land down to 3 bedroom homes on just over a quarter of an acre. HOA fees are very reasonable at under $100 per month. This covers the common areas and security gate along with basic cable TV. Hunters Creek is very conveniently located near the Palm Cove Golf Club. There is quick access to Florida’s Turnpike and I-95. Also, just a few minutes away from the Palm City Bridge with access to downtown Stuart, Jensen Beach and the beaches of the Atlantic Ocean on Hutchinson Island. 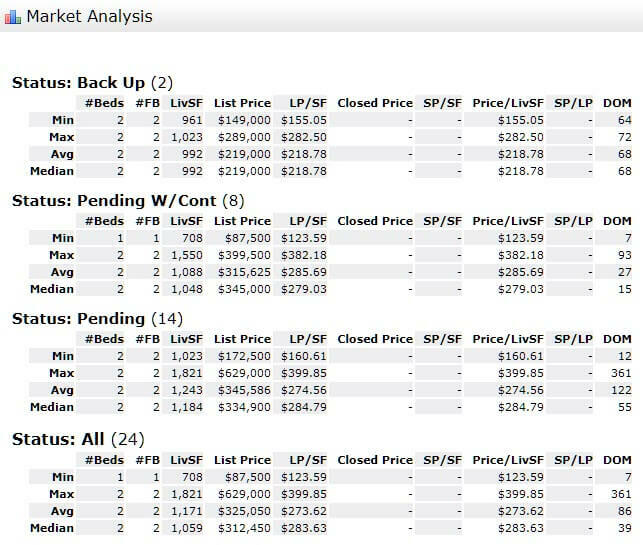 The Jensen Beach FL 34957 Condo Market Report had c continued increase in inventory and unfortunately a decrease in both pending and closed sales.. 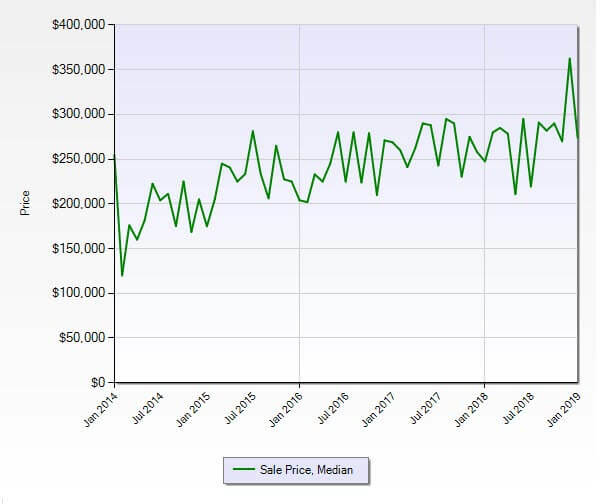 The one-month absorption rate for the December 2018, Jensen Beach Florida Market Report ZIP Code 34957 jumped to 9.2 months (from 6.7 months in November), now a buyer’s market for the first time in quite a while. 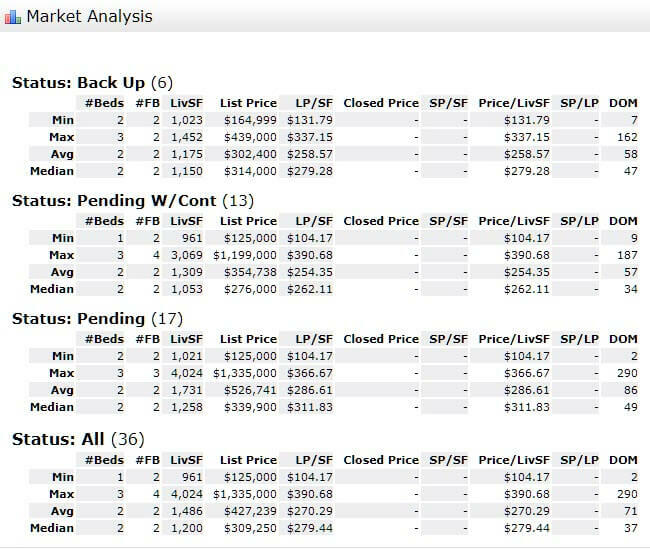 A balanced market is considered to be a 6 to 7-month absorption rate favoring neither the buyer or seller. The December 2017 numbers were: 108 active listings, 26 pending sales, and 16 condos closed. There was considerably better activity last year. 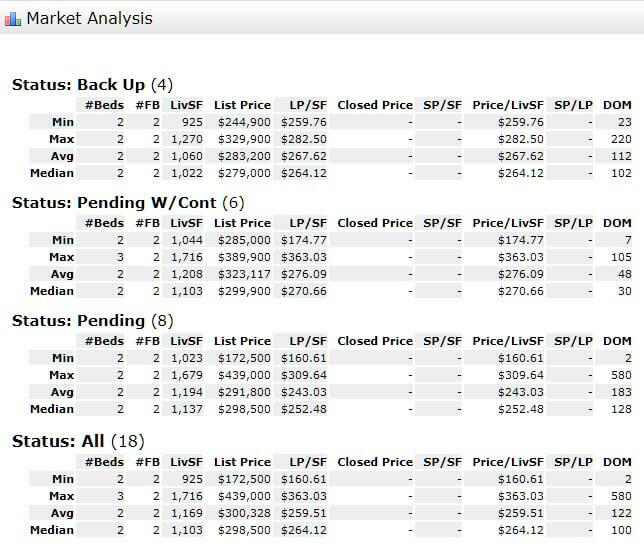 The Jensen Beach FL 34957 Condo Market Report had an increase in inventory and pending sales along with a decrease in closed sales. 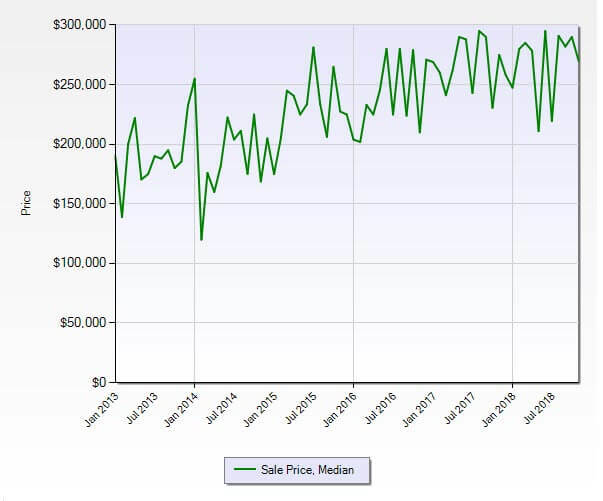 The one-month absorption rate for the November 2018, Jensen Beach Florida Market Report ZIP Code 34957 inched up to 6.7 months (from 5.8 months in October), transitioning into a balanced market for the first time in quite a while. A balanced market is considered to be a 6 to 7-month absorption rate favoring neither the buyer or seller. The November 2017 numbers were: 106 active listings, 24 pending sales, and 17 condos closed. Very similar activity when compared to last year.